We’ve put up this website together to both peek your curiosity and to mildly satisfy it while we’re finishing constructing our full site. So, think of this as an appetizer. Abby Normal Publishing is founded to be a new type company; you could say not a ‘normal’ one. Our specialty is publishing and republishing great games and imaginative works of fiction. Our team consists of talented and experienced individuals who have been involved in award winning projects and profitable enterprises. Some have been involved in the gaming and publishing industry for decades. Others are part of the recent generation of game designers who have created games grossing in the millions of dollars. Excellence in products. You deserve to get what you expected, plus more. Giving you quality products, you can be proud of, is in our opinion one of clearest ways of showing you respect. Real and concrete support of our business partners. Our retailers, in particular, will benefit from our investment in innovation and of our partnering with them for their success. We’ll expand on these as roll out the full-fledged site, and when we do, we hope you’ll be as excited about this as we are. We’re here to have some fun together as we explore Universes of Excitement. We’re excited to launch Abby Normal Publishing with two great and renowned Universes of Excitement, Thieves’ World and The War of the Worlds. Both noted for being ‘firsts’ in many ways. Our approach to works of imagination, whether starting as movies, books, comics, manga, or games is to pursue sharing this creation in many different formats to fulfill different people’s interests. A ‘book’ in today’s world could be printed on paper, pixels on a tablet, or an audio file being read to you. For those intellectual properties needing it, we’ll produce ‘books’ for these in the different formats for people to enjoy as the market demands. People like all sorts of games, but not everyone likes every sort of game. This is why we plan on producing multiple types of games well suited for exploring your Universe of choice in fun and interactive ways. Welcome to Sanctuary, please let me introduce you to some of our citizens: One Thumb (the crooked bartender at the Vulgar Unicorn); Enas Yorl, magician and involuntary shape changer(he lost a duel to another magician); Jubal, ex-gladiator and slave who is now a pillar of the community (he made his money selling slaves); Hanse Shadowspawn, up-and-coming thief (with a chip on his shoulder as big as the moon). These are just some of the unforgettable characters you will meet in a city where murder, mayhem, and skullduggery - with always a bit of magic - are the order of the day. Thieves' World® is a collection of stories set in the city of Sanctuary. Once a great trading city, Sanctuary has become a mockery of its past glory, a refuge for the scum that have nowhere else to go. We at Abby Normal Publishing are both proud and humbled to be chosen to be part of the rerelease of Thieves’ World®. We’re confident that fans of old and future fans will be thrilled with what’s coming. Abby Normal Publishing is pulling out all the stops to make the grandest role-playing game ever produced for the Thieves’ World® universe where players can adventure in Sanctuary with characters of their creation. Abby Normal Publishing’s Thieves’ World® products will be in full color (a first for Thieves’ World® universe RPG products) and to European standards. All the members of our team - from top game veteran cartographers, designers that are experts in contemporary game mechanics, and artists - are committed to making a game that will immerse players in the gritty, down-and-dirty, sword-and-sorcery setting of Thieves’ World®. Additonally everything in Abby Normal Publishing’s Thieves’ World® products will be canon and there will be never before published canonic material. The combination of the very nature Thieves’ World®’s origin, it being an anthology by top flight writers, and with the first anthology of the series being made into a role-playing game adventure setting (for nine different game systems no less) as the beginning of the anthology series began, has made it a prime setting for people seeing it as fertile ground for self-styled stories of adventure. 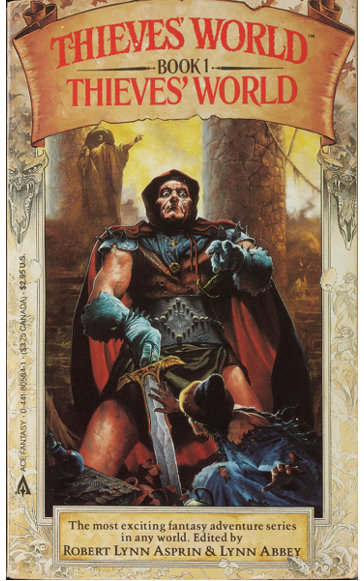 It’s a reasonable statement that few other fantasy series have lent themselves as fitting for a role-playing game setting as the Thieves' World® Universe! Thieves' World® fantasy series launched the shared world anthology subgenre with the release of the first anthology in 1979. It was immediately recognized worthwhile being nominated the next year for the World Fantasy Award – Collection. The original series consisted of twelve anthologies, including stories by some of the leading and most well-known authors of Science Fiction and Fantasy of the time. These included the likes of Poul Anderson, John Brunner, Andrew J. Offutt, C.J. Cherryh, and Joe Haldeman. The alchemy that produced Thieves’ World® had four components. Robert Asprin, Lynn Abbey, Gordon R Dickson, and ample amounts of wine. The laboratory was the Boston Sheraton’s Mermaid Restaurant. The year was 1978. Like characters in a D&D adventure, they started out in a tavern drinking mead. The three, all award-winning authors (but not back then), concocted a scheme for fun, fame, and profit (mostly fun at the time) and implemented audacious tactics that lead to the creation of a successful anthology series that ran throughout the 1980s and ultimately sold millions of copies. Similarly, the recruiting of authors to contribute to the anthologies, succeeded by the same means as the cementing of an RPG player group - the idea for a character. Consistently the to-be authors of the Thieves’ World® anthologies would say they “didn’t have the time to participate”. Then the idea for a character would hit them – and they were hooked. All in all Robert Asprin was able to recruit six more writers that delivered stories for the first anthology in addition to his and Lynn Abbey’s. Thieves’ World® speaks for itself as a premier setting for an RPG as it attracted some of the best and brightest role-playing game designers ever. The first RPG product based on Thieves’ World® was the Thieves' World® Complete Sanctuary Adventure Pack by Chaosium which won the Origin’s Award for "Best Roleplaying Adventure of 1981". The credits list for the product includes a powerhouse of designers, almost all awarding winning (four of which have been inducted into The Academy of Adventure Gaming Arts & Design Hall of Fame). In 2005 Green Ronin published RPG material for Thieves’ World® based on the 3.5 version of Dungeons & Dragons. Again, the best and brightest participated, include award winning game designer Owen K.C. Stephens, award winning game designer Rob J. Schwalb (who worked on all five of the Thieves’ World® products from Green Ronin), and award winning game designer and award winning prolific author Aaron S. Rosenberg. The captain at the helm of ‘all things canonical’ is Lynn Abbey, sole owner of Thieves’ World® for well over 20 years. 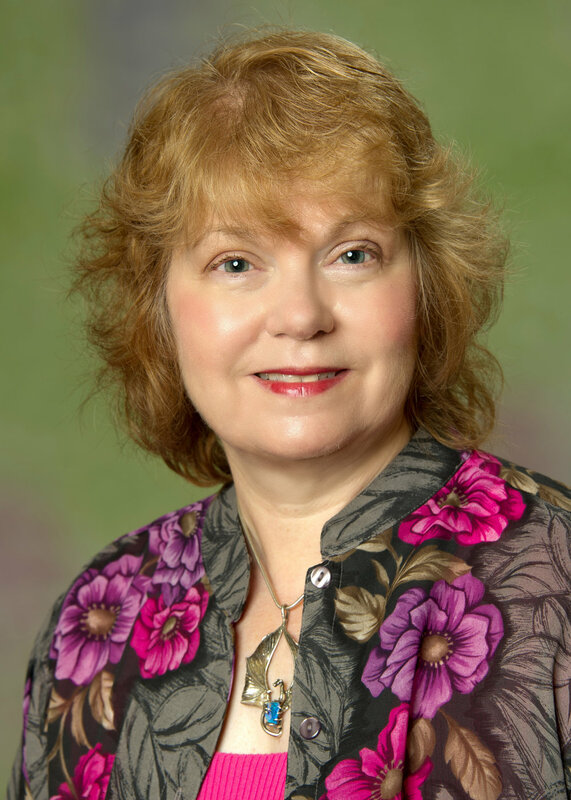 Award winning author Lynn Abbey is best known for her role, along with the late Robert Asprin, in creating, editing, and writing for the Thieves’ World® anthologies. She has written game-based novels for TSR, Wizards of the Coast, and game content for Chaosium and Green Ronin. Abbey is also the author of several fantasy novels, including Daughter of the Bright Moon, Black Flame, The Guardians, Siege of Shadows, and the Orion’s Children series of modern fantasy novels. She works very closely with Abby Normal Publishing’s design team to give players an immersive experience while playing their characters in the Thieves’ World® universe. The release of the Thieves’ World® tabletop role-playing game will be in 2019. Check back often this website to keep up with the latest on gaming in the gritty Universe of Excitement – Thieves’ World®. As told in The War of the Worlds by H.G. Wells, the first Martian invasion had failed. The world was saved when the Invaders had fallen to Earth’s tiniest defenders. Now years later invaders from the Red Planet have returned. Bolstered with knowledge of Earth’s environment, Martians have once again brought death to the people of Earth. This time humanity is better prepared…but is it enough? This is the premise of the Return of the War of the Worlds stories and games setting. Abby Normal Publishing purchased the miniatures war game, All Quiet on The Martian Front, as the first step in telling the story of what comes after the events in book The War of the Worlds, known as Return of the War of the Worlds. 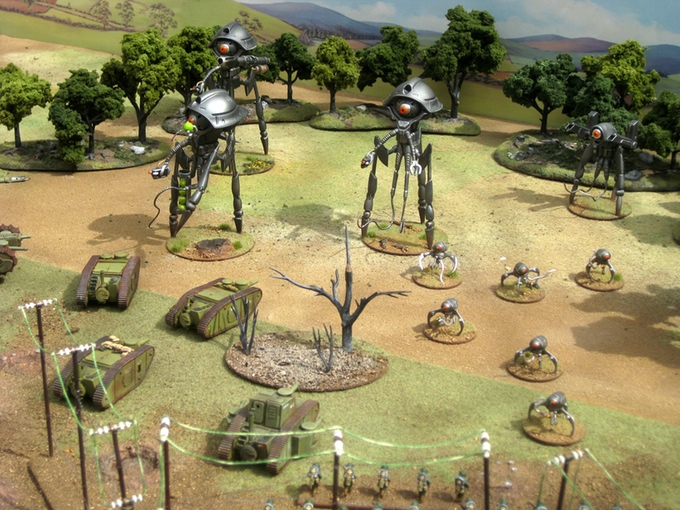 In the miniatures war game All Quiet on the Martian Front, set in the Return of the War of the Worlds universe, players pit the mighty tripods and other war-machines of Mars against the valiant defenders of Earth. 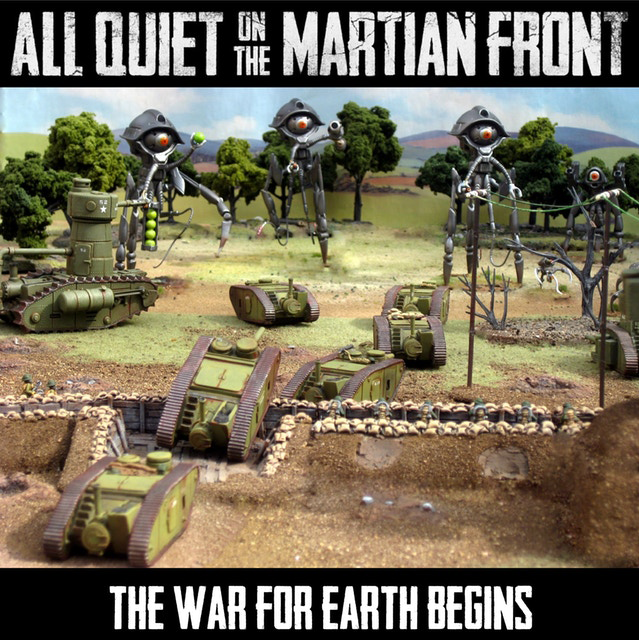 The All Quiet on the Martian Front core rules were designed by award winning veteran game designers Alessio Cavatore and Rick Priestley, famous for creating wide diversity of games, including Bolt Action and Warhammer. All Quiet on the Martian Front is a fast, fun game easy to learn but ‘crunchy’ enough for veteran wargamers. Conjecture of what happened next dates back to almost immediately after the 1897 serialization release of War of the World. 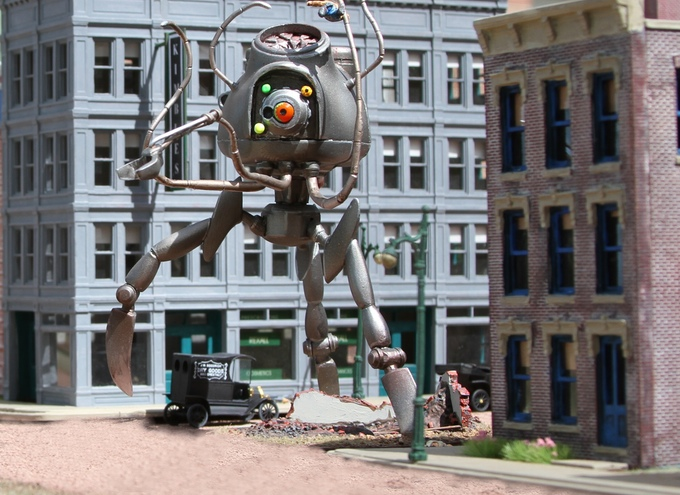 The retelling and continuing the War of the Worlds story began as early as 1898 with Fighters from Mars and Edison’s Conquest of Mars respectively. Since then there have been a multitude of radio shows, films, games, comics, and books retelling or continuing the War of the Worlds story. 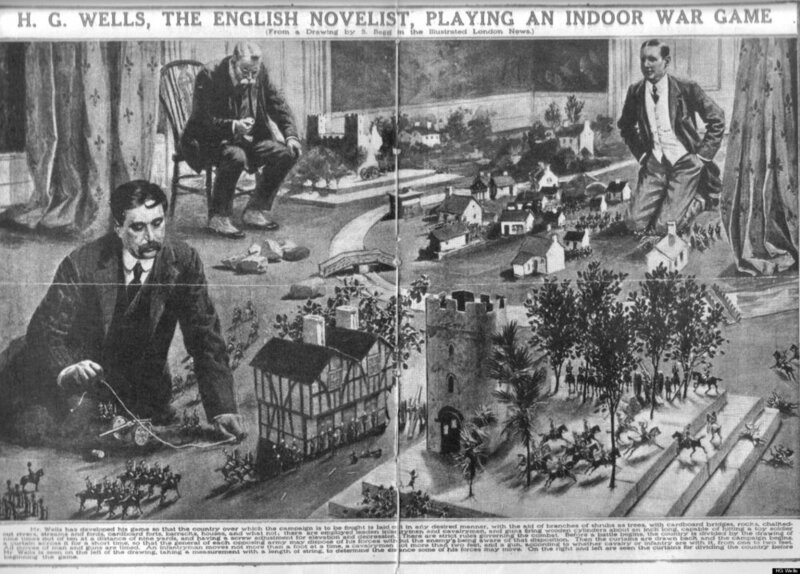 HG Wells is one of the ‘founders of science fiction’ and as the man credited for creating the war gaming hobby with his game Little Wars: a game for boys from twelve years of age to one hundred and fifty and for that more intelligent sort of girl who likes boys' games and books (yes, the whole long thing is the real title of the game). As such, we feel using games (and in particular a miniatures war game) as our initial medium for telling stories based on War of the Worlds especially apropos. Abby Normal Publishing breaks new ground through study of The War of the Worlds as canon, studious application historical logic as to how such events would have affected the world, and inventiveness while simultaneously launching a series of games allowing players to actively engage and interact with this amazing science fiction universe. We practice social responsibility as a business and as individuals. We encourage team members to give where their heart leads them. We support team members to spend time volunteering by making sure they can schedule themselves and their projects to do volunteer work.nWe pay team members a competitive wage which also means paying them amply that they can share with others as they see fit. As a business, we also set aside profits for the welfare of others through donations to charities and programs. We see our relationship with these organizations as a partnership in a common cause. We’re committed these and we will be making special announcements on the specifics of these partnerships shortly.